Thank you, thank you all yesterday for your support, encouragement and enthusiasm. You have no idea how much it means to me! I will keep you posted as to how the little venture goes. 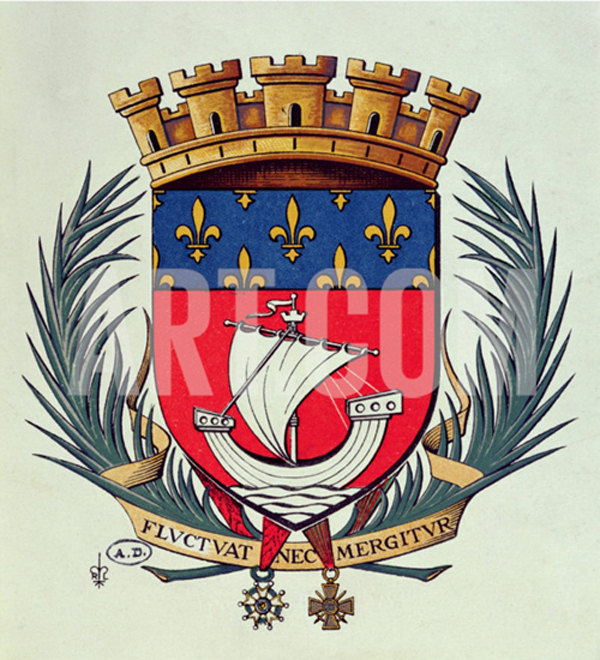 Today I want to talk about Coat of Arms and how elegant and sophisticated they are. I love them now and believe it or not I have been in love them since I was maybe 13? Around that age I got my first blazer (you know the kind with gold buttons) and all I could think about was getting ahold of a coat of arms to put in the breast pocket. It took a while to find the right one, but wao I felt so cool and yes sophisticated. I love how meaningful they are with every little detail in the rendering representing something specific to a family, person or region. Anyway, I think they should be in vogue. Isn't the artwork above spectacular. 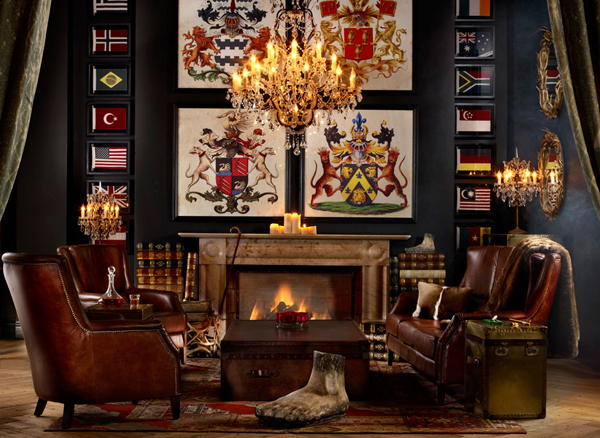 I'm not sure how much these are from Timothy Oulton, but they look expensive. 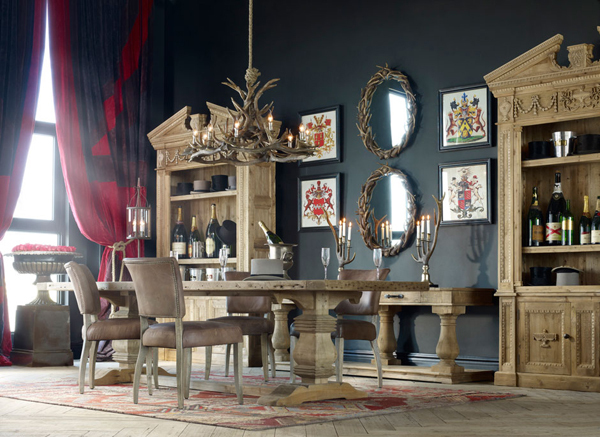 How fabulous are they in this dining room. They add drama and worldliness for sure. I visited Art.com and found some great potential prints. What do you think? I'm kind of liking the first one's shape even though I wish it had color. Maybe I can color them in?! That could be a fun project. This last is kind of cool too. Thoughts? So regal! Love especially for this time if year. Can't wait to hear about the business! I'm with you on the coat of arms! I think they are fabulous too, I wish my family had one. 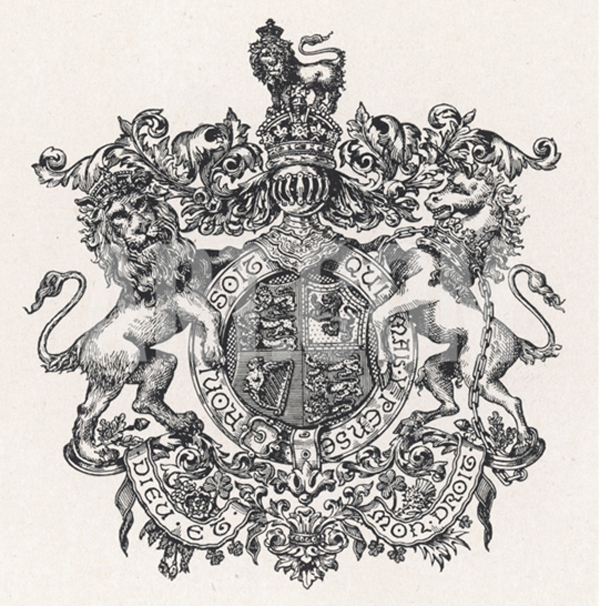 Random fact for you, the Middletons had to have a coat of arms made in order for Kate to marry William properly, (they had to combine the 2 to make their own) i can't remember everything that was chosen for it, but they had some mountains i.e. chevron to signify mountains because they love to ski. You can also "lay claim" to COA if you find you are some how distantly related to someone with them or have your own commissioned. I think it would be a very cool thing to do myself :) Sorry for the long windedness! Cheers! Love the black and white one..wouldn't that be a cool wallpaper on Spoonflower? Great thought provoking post..never thought about this! ooo I love the idea of coloring your own! That does sound like a fun project - so sophisticated. ps I also LOVE the dinning table in the first room - heaven! I love the tradition attached to these. Definitely infuse worldliness for sure, but also roots and history, which I think are elements for a room that looks "lived in". Love them too! Have you seen the custom watercolor ones done by Happy Menocal? Ha! 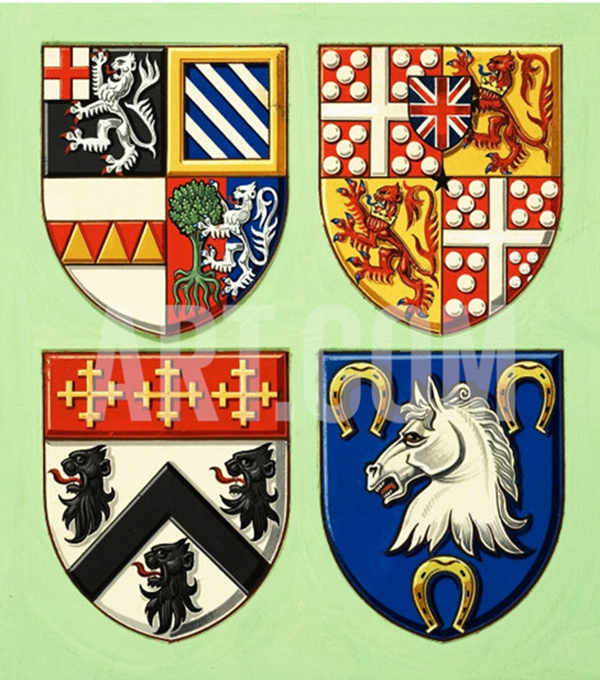 I love coat of arms! They are so old English and masculine :) Liking the last one a lot! Yes, definitely add your own color, that would be fab!!! 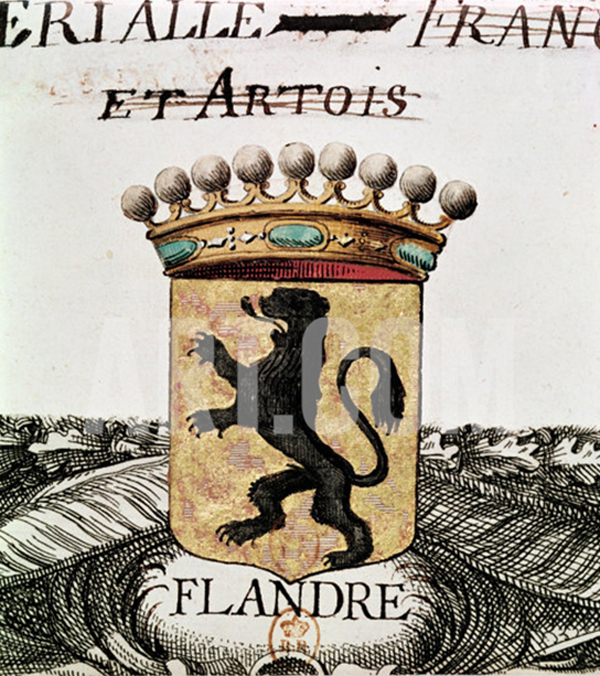 I always wanted a coat of arms (Polish names don't have them, "...whaaat?! "), so with the new last name I got one! I just like the Ferrari one.